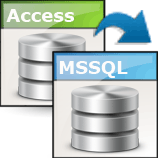 Viobo Access to MSSQL Data Migrator - migrate data from Access to MSSQL easily! The tool is compatible with most major versions of MSSQL and Access, including SQL Server 2000 to SQL Server 2008, Access 2000 to 2007, etc. The tool needs ODBC or OLEDB database provider without official client software. The Data Migrator supports the all connection types of MSSQL and Access very well. 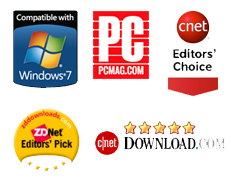 There is also portable version to download and Regnow purchase way. max.1000 records per table, 10 tables per Database, and 30 days expired. Viobo Access to MSSQL Data Migrator and our customization services ensure high automation of the entire database migration process - from DDL to data, from completion to optimization/alternative, from anytime to fixed time conversion - at reasonable cost. The friendly User-Interface helps users operate the data/DDL of databases easily and view its effect in real time. Drag and drop of any visible object of the tree(database) to complete the migration operation. Viobo Data Migrators are aimed at remote data Migration and Backup. 1. Database schema/DDL, server-side logic (triggers etc). 2. Data transfer and validation. 3. Entire SQL scripts record. The tool also help User to define his own operation conditions to make the migrating tasks more pertinent. In Tasks List, User can get the all tasks states and cancel, sort, start, stop and restart the task in the task queue. After migration, Viobo Data Migrator can reserve the all need SQL script of special migration for user. We are committed to providing automated conversion generating readable and maintainable code, using best practices of the target platform rather than emulating the legacy system. With optimized SQL condition clause, user can refine the daily mass data. You can easily convert standalone SQL statements, scripts and various code fragments. Database migration is a rather complex task. It involves high risks and requires expertise in various technology platforms. Our highly experienced and qualified team will render you comprehensive assistance with assessment, Viobo Data Migrator configuration, autocheck of connection environment and migration solutions.